Molokini Island is the best for those who wish to relax away from the noise and the ideal place for lovers of nature and serenity, it is a great rocky island formed crescent-shaped and southern the island of Maui in Hawaii. Molokini is a stunning island with picturesque nature, formed by a huge volcanic eruption make it appear on this beautiful crescent shape , has an area of 23 acres and 49 meters in height. 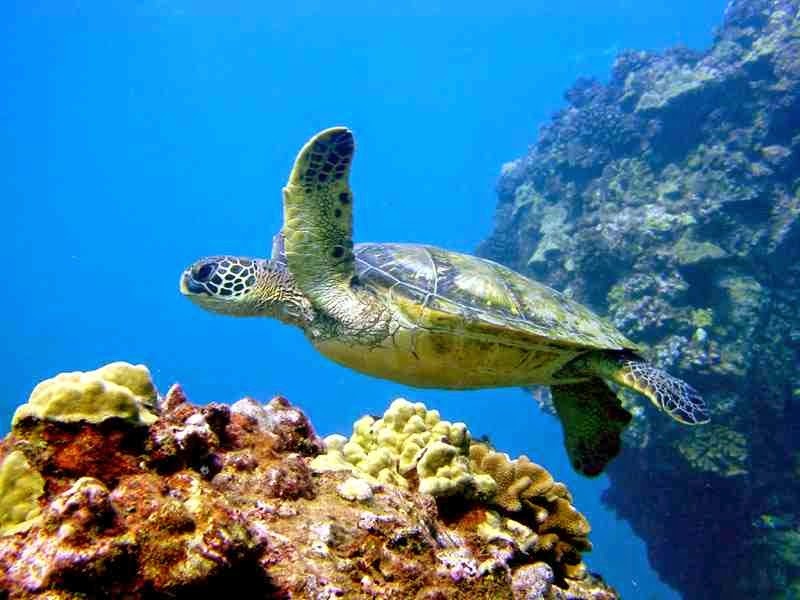 Is a popular tourist destination for diving amid the coral reefs ,unique marine life ,and the serenity and absolute clarity of its water ,there is no flat land on this island, it is only a towering cliffs, and therefore the surrounding water is the cleanest water in all Hawaiian Islands , making it a page of pure nature which fascinates whoever sees it. 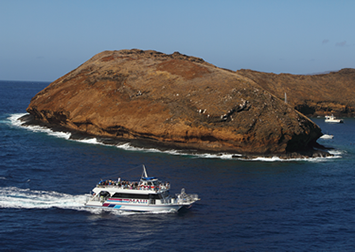 Molokini is also a home to some 250 species of fish, and many aquatic endemic animals ,summer and early morning is the best time to see them, the only danger of strong currents that flow beneath the submerged part of the wall of the volcano hole , which should be avoided. The local authorities have warned tourists from going to the island to maintain the unspoiled nature on the island in 1987 because it contains a number of rare birds and animals, such as Parrot, raccoon, as well as sharks and whales, as well as 38 species of hard corals and some 100 species of algae. However, for years the local authorities allowed for visitors to landing on the island after a prior permission from the Coast Guard and the Hawaii Division of Forestry and Wildlife, taking into account the prohibition of fishing or throwing food or exotic materials for marine organisms so as not to damage the reef. Before 20,000 years ago diving in the island of Molokini was not an option at all and can't even swim there. However, with the melting of the ice caps at the end of the last Ice Age the sea level on the island rose to 400 feet. Being a global area with a wide reputation for diving, it is teeming with tourists throughout the year, as well as having a lot of visitors who like to enjoy the natural atmosphere on deck ,the spotless sun and the crystal clear waters. Tourists can also after spend the day and enjoy in this crescent island back again to the island of Maui with its wonderful tropical climate that attracts plenty of tourists at various times of the year. Don't miss windsurfing and water skiing with sail panels, as well as luxury foods and relax on the beach, to have spent a pleasant journey in one of the most beautiful regions of the world.